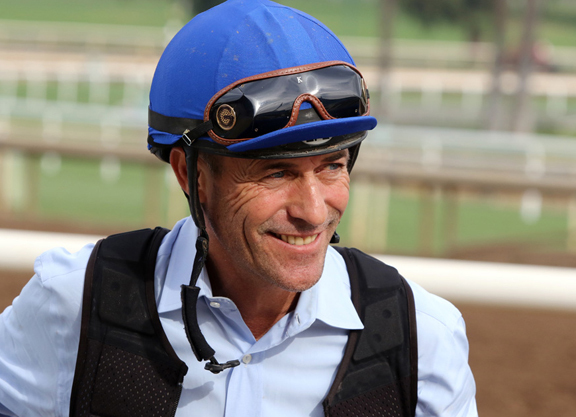 Hall of Fame jockey Gary Stevens will join FOX Sports/NYRA Live television programming as a racing analyst, making his debut on FOX Sports Saturday At The Races this spring, the New York Racing Association (NYRA) and FOX Sports announced Thursday. Inducted into the National Museum of Racing Hall of Fame in 1997, Stevens registered 5,187 wins and totaled purse earnings of more than $258 million in a career that started in 1979 and concluded with his retirement in 2018. The 55-year-old won nine Triple Crown races and 11 Breeders’ Cup races in his career. Outside of the irons, Stevens enjoyed success as an actor and television analyst, portraying Hall of Fame jockey George Woolf in the film “Seabiscuit,” starring in the HBO series “Luck” and providing racing analysis for various TV networks, including NBC. The new broadcast team will also be featured on FOX Sports Saturday At The Races, which was launched in 2018 and expanded in 2019 to a 12-show schedule over February, March and April, providing nationwide coverage and analysis of major stakes races and key Triple Crown preps.